EXCELLENT NESTING SITE FOR BIRDS, HABITAT FOR MANY INSECTS WHICH INSECTIVOROUS BIRDS CONSUME. Some bird species also eat the seeds. 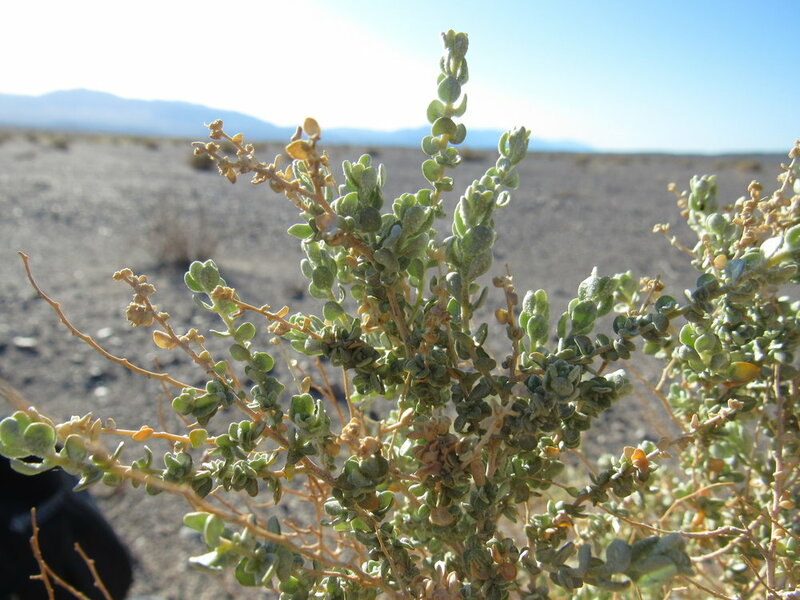 Not everyone may appreciate the rugged, desert look of the various species of Atriplex. A genus formally in the goosefoot family (Chenopodiaceae) but now (due to genetic data) placed into the amaranth family (Amaranthaceae), these species aren’t known for their showy flowers, though some of them may have very pretty winged fruits at times. What they are known for is shelter: one of the many common names for these species is quailbush, a name that alludes to the use by birds like quail for shelter. In the open desert, there aren’t too many broad-leafed plants that hang out in the open exposures. And though not all Atriplex species have incredibly broad leaves, some do. 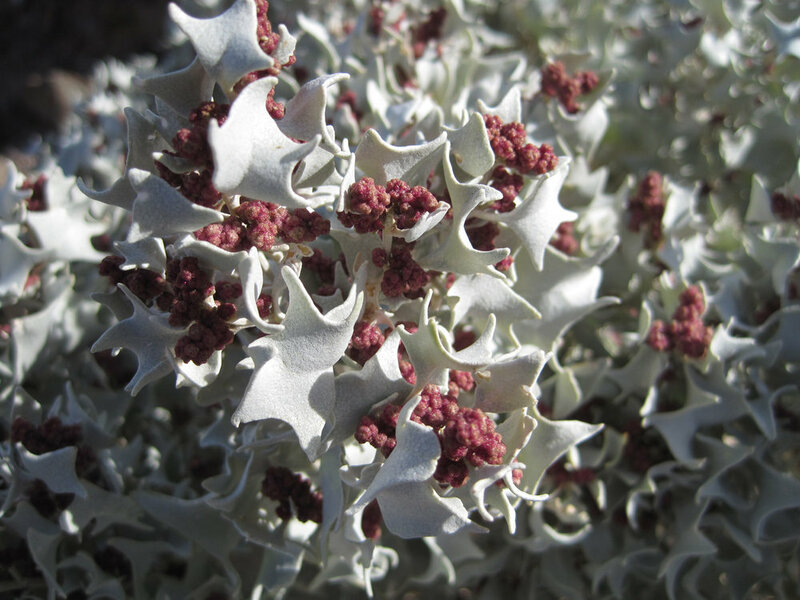 All species of Atriplex have a habit of taking the excess salts in soil that prevents many other plants from getting established, and secreting that salt into tiny hairs on the leaf surfaces of the plant. The hairs die from high salt concentration, leaving a deposit of salt crystals on the surface which serve to reflect some of that intense heat our region is known for. They take their pain, and turn it into their gain. 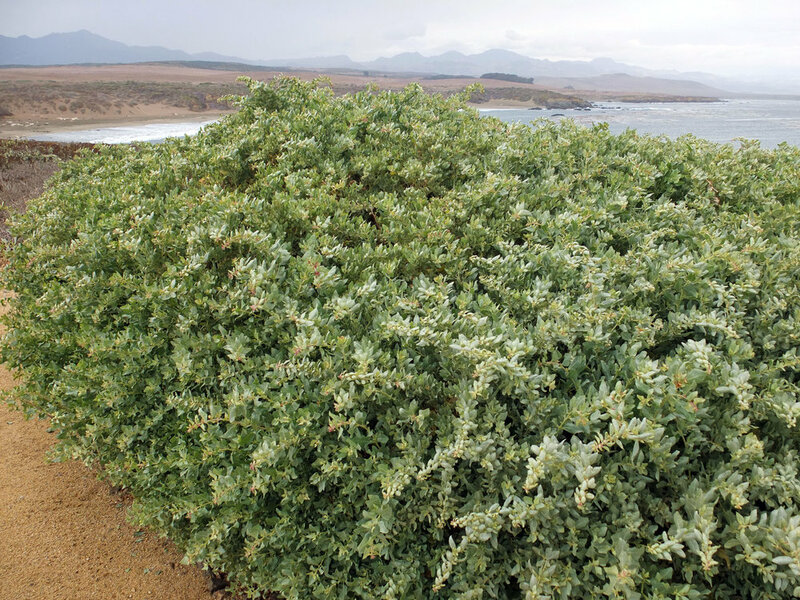 Because some Atriplex species can afford to sport larger leaves and more foliage than other species, they become great habitat for insects and birds alike. It isn’t just the quail, seeking refuge, that find what they need under the shelter of the saltbush. Birds known for gleaning insects will also find a meal in the saltbush, especially the verdin and gnatcatchers. Of the many insects that live on saltbushes are the casebearer moth, Coleophora atriplicivora (uses Atriplex as a larval food plant), and a some species of gall midge which will cause strange growths on saltbushes. 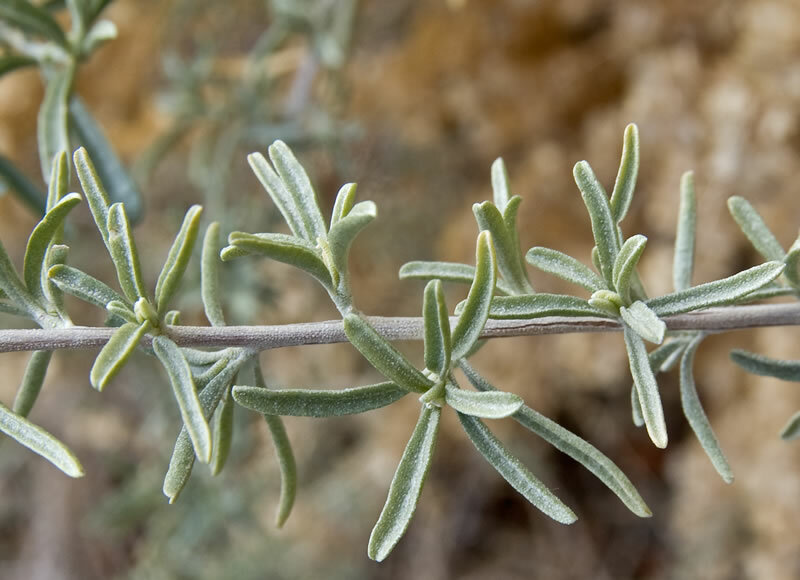 Another fascinating attribute of the saltbush is its ability to change sexes according to environmental cues. 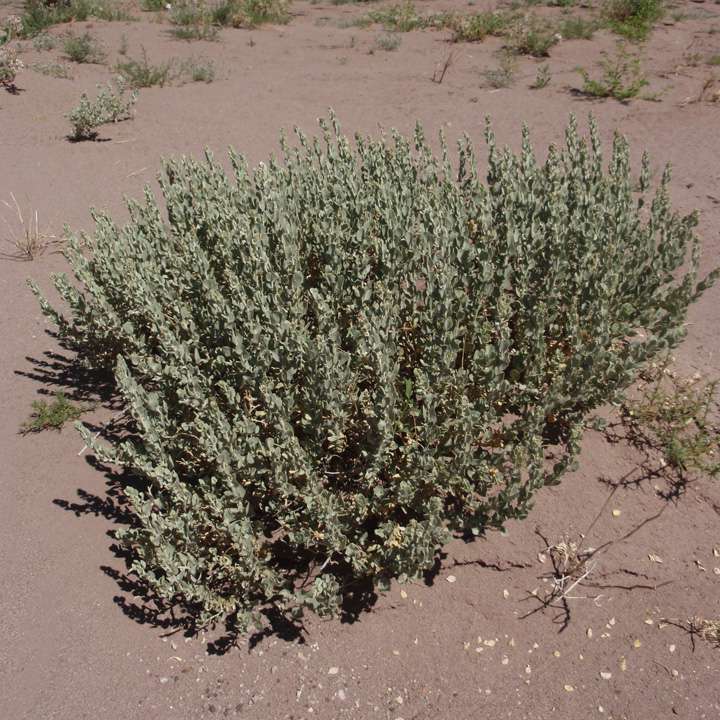 Atriplex species are often dioecious (separate male and female plants). If the weather is too dry or too cold, male plants can convert to female plants, ensuring that there are more seed-bearing individuals to carry on reproduction. Atriplex are easy to grow. While they can grow in very saline conditions, they can also handle a normal landscape situation very well. Many species of Atriplex can grow very wide, so give those species a lot of room to develop. In fact, the only real care they need is giving them enough room to grow! They do best in full sun and low to moderate water, but make sure they have good drainage. There are many species of Atriplex native to our region, both annuals and perennials. Featured here are the best for the landscape and wildlife habitat. 2-3 feet high and wide. Hardy to about 20°F. about 5 feet tall, almost double as wide. Hardy to at least 0 °F. About 2 feet tall, 3 feet wide. Hardy to about 25°F. A massive shrub, topping out at 8 feet tall, 12 feet wide. Hardy to the teens °F. Growing to about a foot tall and about two feet wide in cultivation. Hardy to 0 °F. Grows to about 4 feet high, 6 feet wide. Hardy to at least 20 °F.